Food crises have been at the origin of many social strives around the world leading to loss of lives, property and even change in regimes. Political science and current events are living testimonies to these incidents. Governments built on the precept of the social contract and a host of international organizations are burning the mid night oil to ensure that there is not just food on the table but that science is pushed to its limits to advance human development by improving the quality, quantity and the availability of food in the world. According to the Sustainable Development Goal Progress Report for 2017, ending hunger, food insecurity and malnutrition for all, will require continued and focused efforts notably in Asia and Africa. To attain the desired results, canalized efforts should be hinged on increasing capacity for agricultural productivity, more investments in agriculture, government spending and aid to increase capacity for agricultural productivity. Unfortunately, the general economic meltdown and the galloping world population especially in Africa and Asia, are not making things easier. But researchers are folding their sleeves as they continue to search for more innovative methods to improve production. But the worrying issue is whether the small-holder farmers who make of the bulk of the farming community in Africa and Asia are taken into consideration in this scientific rat race? The task that lies ahead is difficult but not insurmountable. Down the line, nature and man-made activities like urbanization, agriculture, deforestation, climate change and wars have been taking their toll on the rich biodiversity endowment of the world. This picture is in stake contrast with the creation narrative in the Bible that walks us back to the rich biodiversity God gave humanity at creation. According to studies [BGCI (2005). (http://www.bgci.org) more than one third of all the world's plant species, are currently threatened or face extinction. Fortunately, diverse efforts are on-going to salvage the despicable situation and science is the live wire to this salvation drive. Science-based innovative options for agriculture may be the magic wane especially for Africa and Asia that are in the melee of high population density, declining availability of fertile lands and water; a mission that the Asia- Pacific Association of Agricultural Research Institution -APAARI and a host of partner institutions have taken up as they are aground synergizing efforts to improving the quantity and quality of agri-food production in the region. International, regional and even national think thanks are working round the clock to be part of the solution to the scarcity of food in particular and the dwindling biodiversity in general. 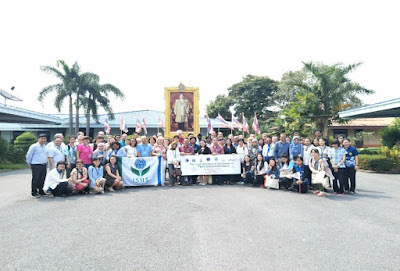 As March 2018 was waning, one hundred plus plant cryopreservation scientists and researchers from 25 countries met for three days in Bangkok, Thailand to contribute their quarter to improving the quality and quantity food in the world through conservation and sustainable use of plant genetic resources. 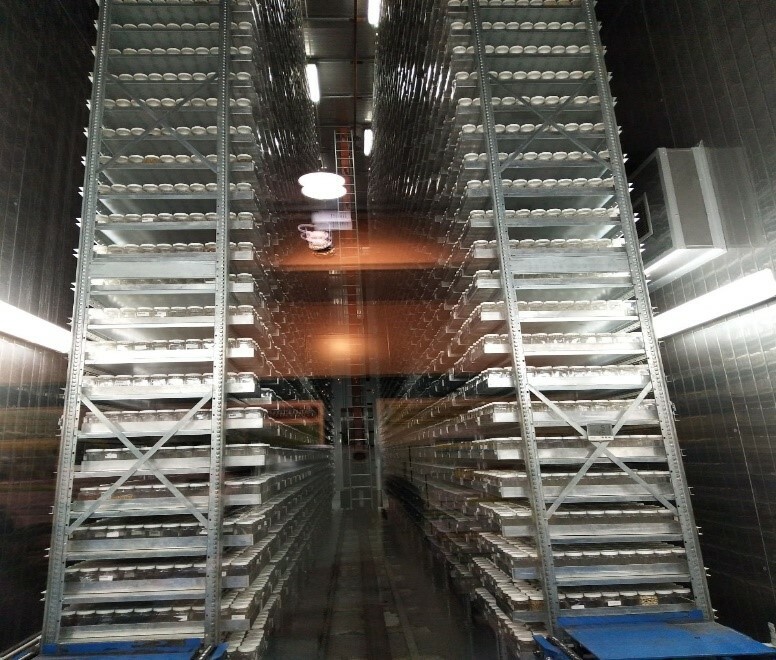 According to the conveyor of the 3-day symposium, Prof. Sittiwat Lertsiri, it was an occasion to “share recent advanced knowledge and information on plant cryopreservation and create an engagement among researchers and scholars from research and educational institutes as well as industries”. In the words of Dr. Bart Panis, the more than sixty per cent of plant cryopreservation community answered present as scientists dealing with more fundamental science, those developing cryopreservation protocols and plant germplasm curators were in attendance. These horticultural scientists and researchers were meeting for the third time in this type of forum in the last ten years (Leuven 2009, Fort Collins 2013), to compare notes, exchange ideas and results in improving plant preservation in particular and biodiversity in general through conservation. 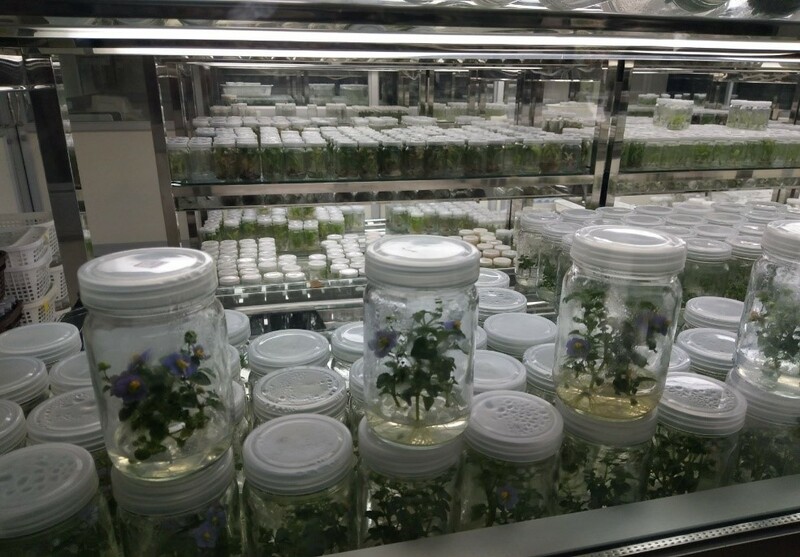 According to Dr. Bart Panis, Senior Researcher at Bioversity International, the last ten years have seen large varieties of plants being cryopreserved and the efforts have to be on-going because the task is enormous. The choice of Thailand as the host country was not a gamble. The Asia-Pacific region harnesses one-fifth of the world’s agricultural land is home to more than half of the global population. The pressure on biodiversity is, therefore, enormous as endemic species are disappearing and fertile land is more scare. These men of science were in concave to make their contribution to the regional efforts. Evaluating agricultural strides in the region, the Executive Secretary of APAARI, Dr. Ravi Khetarpal, says there has been remarkable production improvements over the past few decades though the region is still struggling with depleting resources including water, deteriorating soil quality, inadequate logistics and inefficient farming practices and land usage. 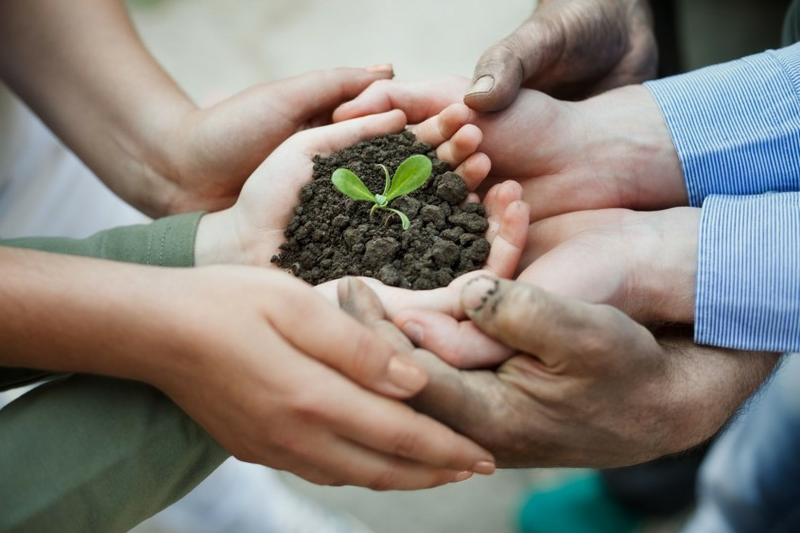 As climate change and human activities are adversely affecting biodiversity in general and agriculture in particular, cryopreservation may be the safe haven of ensuring that future generations equally enjoy the bounty of nature. Saving biodiversity for the future. It is true that cryopreservation has been making inroads into the preservation of many threatened species but it has been a bumpy ride for these men and women of science. Scientists like Professor Hugh Pritchard have thirty years up his sleeves working on recalcitrant seeds says there is need to pull experience together to look for long term solutions. These recalcitrant species mostly from the tropics and sub-tropics difficult are to be dried and are unable to be stored at low temperatures. Unfortunately, these plants are the livewire of most of the people of these regions (coffee, oil palm, potatoes, cassava, yams). He believes advances in the domain have been slow. According to him, the slowdown is because cryopreservation developed by individuals in single laboratories in different countries. In order to advance the science for quicker returns, he suggests the pooling skills and knowledge in a platform Cryonet for useful and quicker advances in science. To Professor Bart, the philosopher’s stone for recalcitrant seeds is for researchers to develop and optimize techniques. The third International Symposium on Plant Cryopreservation, featured top notch research and poster presentations as well as rich debates and merit was equally recognized. Miriam Valle Arizaga and team of ten from Japan received the best research award while the poster by Tagrid Imsomboon and team from Mahidol University won the admiration of the scientific committee. 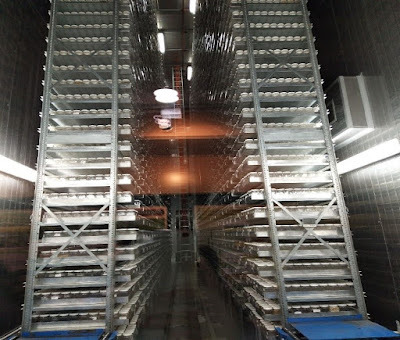 It was not just debate and debate but also seeing and enjoying the science as the participants also saw first-hand how the country is managing its plant cryopreservation by visiting the National Gene bank at DOA . Established in 1986, thousands of plants are conserved here among which are hundreds of varieties and landraces of rice, many of which are in danger of disappearing. Before the curtains dropped on the 3rd Cryopreservation Symposium, the plant cryopreservation family agreed to meet next in Norway come 2021. Let’s be realistic. Plants, similar to animals and humans, are susceptible to sickness too, and this is often brought on by pests. Often overlooked, pest management is a serious threat to plant health all over the world. Let’s take the example of the now well-known fall army worm or FAW, which originated in South America and recently spread to some parts of West Africa and soon perhaps Asia. It’s a moth insect that feed on several plant species including maize, rice, sorghum and other vegetables, causing plant damage and huge losses to farmers in the region. Did you know there is partnership supporting small-scale farmers in dealing with this crucial issue in agriculture? Myanmar’s Ministry of Agriculture said that their policy is having no policy at all. They believe that policies are very inconsistent because institutional change that comes with new policies requires organizational restructuring as well. They break the same cycle of working in silos among involved actors and with this are focused on supporting the farmers to have access to agricultural resources, technology and market access. IFAD defined partnership as results-oriented. They have targeted programs to contribute towards achieving SDGs and are working primarily with different sectors in the government and also in the private sector. One of the strategies mentioned is a switch of work from a top-down approach to on-the-ground, or simply from country level to country-based level. CropLife International cited that strategic partnership is necessary and must be allowed to evolve. To achieve this it must be recognized that partnerships should help innovation be locally adaptable. Furthermore, partnership should include training and education. Most importantly, partnership must be profitable. These statements from top agricultural organizations are basically behind-the-screen techniques to go back to the farmer MD who knows best. Farmers’ approach—both pro-active and reactive—to pest-related plant health issues is what the doctor ordered. But sometimes the farmers can’t do it alone. Plant Wise, a programme by CABI created to support farmers in managing their crops, brings them advice and recommendations from plant doctors who diagnose the sample plant diseases, similar to diagnosing a human being. It also provides an online and offline knowledge bank, a database of information about plant health. The multistakeholder approach to learning the genesis of the plant disease based on the findings of scientists, researchers, NGOs and farmers’ organizations, will make more room to protect the crops. This should eventually lead to a productive, safe and more sustainable food supply. Multi-sector effort and trust from various organizations to deal with global disasters like the FAW invasion is imperative not only to those countries that were affected but to all regions with reliance on agriculture. But aside from dealing with the control of the spread of these plant-killing moths, why not invest in controlling how they populate and exist? I would suggest involving more entomologists in the picture, as we all know that pro-active measures are far more important than reacting to the situation when a disaster strikes. Just like going for regular doctor visits can help avoid chronic diseases from setting in. Let’s hope that there will be another programme of global partnership dealing with how these insects mate, populate and migrate from one place to another so as to avoid crop damage and agricultural loss. Strong partnership promises more than what it offers at the present. Partnership approaches should also go back to examine what the world really needs to understand, apart from just knowing and accepting things that recently occur. Food consumption is vital to human health and food production is dependent on plant health. Let’s make sure we get the prognosis right, and not just the diagnosis. During a side event to CFS44, invited young agricultural leaders shared their common experiences and insights about the SDG challenges they faced. They provided some advice and answers concerning a global phenomenon: the loss of interest of youth in agriculture. It was a discussion of success stories from agricultural entrepreneurs, the majority of whom inherited their skills and passion from their family. Can their points of view be relatable and effective enough to motivate an aspiring startup commoner to endeavor into agriculture? They have their stories shared and conversed in hopes of enlightening and giving proper direction to anyone who is willing to invest in agriculture, even though they’re from a family that never had to make their livelihoods on skilled labor. Out of the eight agricultural entrepreneurs five of them are from a family farming business. Two are complete strangers in the field, yet they managed to succeed. Hence, it made me question, are the odds of success in agriculture in favor of those from farming families? I think so. This blogpost covers the CFS44 side event “What today’s young agricultural leaders need to meet tomorrow’s SDG challenges"
Despite growing evidence that greater investment in agricultural research and innovation for development (ARI4D) has a key role to play in increasing agricultural production and strengthening food security, evidence also shows that such investments are insufficient to meet future needs for addressing key hunger and poverty concerns that the Asia-Pacific region is facing. To feed more than 9 billion people by 2050 and ensure the well-being of future generations, investments in ARI4D need to increase. But decision-making on future investments in this area has now shifted to also take political, economic and business considerations into account and is expected to intensify in the future. New ways to advocate and attract investment in ARI4D are therefore urgently needed. To help address this issue, the Asia-Pacific Association of Agricultural Research Institutions (APAARI), in collaboration with the Australian Centre for International Agricultural Research (ACIAR), Department of Agriculture (DOA), Thailand, Food and Agriculture Organization of the United Nations (FAO-RAP), Global Forum on Agricultural Research (GFAR) and International Food Policy Research Institute (IFPRI), organized the High Level Policy Dialogue on Investment in Agricultural Research for Sustainable Development in Asia and the Pacific (HLPD). The event attended by about 131 participants took place on 8-9 December 2015 in Bangkok, Thailand. Syngenta and the Agricultural Research Technology Institute, Chinese Taipei, also partnered in the event. The Dialogue provided a platform for discussing the direction, needs and mechanisms to improve investments in areas such as finance, infrastructure, capacity development and policy support in ARI4D, which also includes agricultural extension and education. The event particularly aimed to catalyze policy and decision makers, re-sensitize the National Agricultural Research System (NARS) and create an environment for increased resource allocation and congenial policy environment for agricultural research and innovation that greatly contributes to sustainable development of the Asia-Pacific region. At the closing of the High Level Policy Dialogue on Investment in Agricultural Research for Sustainable Development in the Asia-Pacific Region, Mr. David Shearer, General Manager, Corporate, ACIAR and Dr. Raghunath Ghodake, Executive Secretary, APAARI, shared their reflections on the two-day event and presented the way forward. Read more. APAARI is a voluntary, membership-based, self-mandated, apolitical and multi-stakeholder partnership organization in the Asia-Pacific region promoting agricultural innovation and research since 1990. Its vision is strengthened research and innovations for sustainable agricultural development in Asia and the Pacific. Is is promoting, coordinating and strengthening agriculture and agri-food research and innovation systems through partnerships and collaboration, capacity development and advocacy for sustainable agricultural development in Asia and the Pacific.